Are There Natural Remedies For Osteoporosis and Bone Health? Osteoporosis is a degenerative bone disease that strikes many people, mostly women, as they get older. As we age, the bones begin to lose calcium, which causes them to become weakened and brittle, leaving them more prone to breaking. A diagnosis of osteoporosis can leave you susceptible to other issues, including arthritis and a weakened immune system. If you are diagnosed with osteoporosis there is no way to reverse its effects, but through proper treatment you can slow the progression of the condition and even prevent future bone loss. There are several medications available that work to improve bone health but for many people, the idea of putting a traditional medicine into their body isn’t particularly pleasant. Fortunately for these individuals there are natural alternatives that can help to treat osteoporosis. Since damage to the bones is known to stem from a combination of lack of calcium and reduction of bone protecting hormones such as estrogen, most treatments focus on replacing these two substances. Calcium can be added through the diet. Eating a balanced diet rich in dairy foods is the easiest way to ensure that your body is getting all of the calcium it needs. You can also add a calcium supplement if you are worried that your regular diet is falling short of your total calcium needs. Estrogen replacement is a little trickier. As women age and go through menopause, their natural store of estrogen is reduced. Hormone replacement therapy can help to counter the many issues caused by this reduction in estrogen, but it can also lead to even more unpleasant side effects. In order to get around this issue, there are several natural herbal supplements you can take that have the same effect as estrogen. The most commonly used herbal supplements for osteoporosis treatment are red clover, soy and black cohosh. 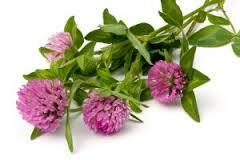 Red clover contains several estrogen-like compounds that have the same bone protecting attributes. Soy contains isoflavones, estrogen-like compounds that can help to improve bone health. You can get the same positive effect either from supplements that contain soy or soy based food products including tofu and soy milk. Black cohosh has been used by Native Americans for generations. It is known to contain phytoestrogens that have many positive health effects, including the ability to protect bones. The use of black cohosh has been found to not only prevent bone loss but actually promote bone formation. Of course, as with any medication, you shouldn’t use supplements to treat your osteoporosis without first consulting your doctor, especially if you are on any other medication. Don’t forget two of the biggest natural weapons against osteoporosis: exercising and reducing stress. Getting proper exercise is absolutely vital in terms of maintaining strong bones. You don’t have to spend hours in the gym either, as little as 30 minutes of exercise a day is all it takes to promote proper bone growth. And reducing stress through relaxation techniques, yoga, acupuncture or other methods can also help to lower levels of certain hormones that are detrimental to the bones. Osteoporosis is a common problem but it doesn’t have to take the enjoyment out of your life. It is important to maintain the health of the bones just as we maintain the rest of our health. Eating right, exercising and using natural substances to help promote good bone health can go a long way toward preventing bone loss. Do right by your bones with a natural approach and they’ll do right by you throughout your life.